I took a major step out of my comfort zone. I got up on a stage in front of a crowd of people and cameras and baked a cupcake. And I am not a baker. OK, I didn’t bake alone….as a matter of fact I didn’t bake much at all. My partner did most of the work. And we baked on Cupcake Wars at the Everything Food Conference with the one and only Justin Willman as our host. My partner’s name is Chloe and she is the owner over at The Chocoholic Baker. We had been communicating about the recipe for a few months prior to meeting in person. She came up with the recipe, from start to finish. At the last minute we were told we had to incorporate a sponsor, Lite&Sweet into the recipe so Chloe asked me to make a batch of cupcakes with the product, just to make sure it worked in the recipe. Oh, and did I mention that Chloe lives all the way over in New Zealand? We finally met in person the first day of the Everything Food Conference in Salt Lake City, Utah. Yes, she had traveled all the way from New Zealand, I came from Florida, and the conference was going to conclude with the Cupcake Wars competition. 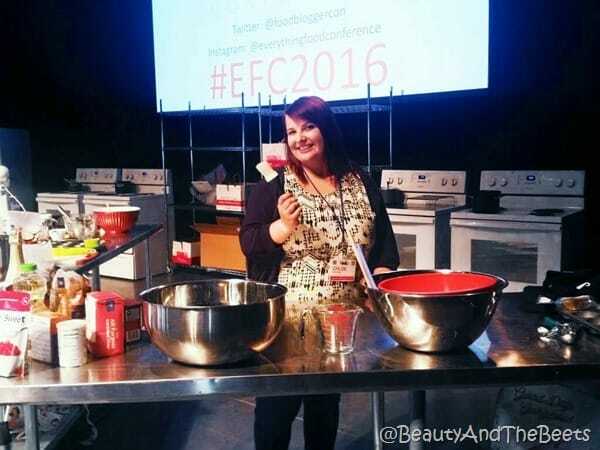 (You can read more about my experience at the Everything Food Conference here.) I tried to snap pictures in the moment but they didn’t turn out real well so I apologize in advance for the bad pics. and Glacia Jones from the Lite&Sweet brand. Though we originally had concepted a chocolate beet cupcake, Chloe didn’t like the practice result so she dreamed up this Chocolate Pink Champagne Raspberry Cupcake, and in my opinion it was perfect. As we gathered onstage for the competition I tried not to look out into the audience, my nerves were working me enough. I am proud of us and the final outcome, though we had many obstacles thrown in our way. The first major malfunction was while I was trying to open the Pink Champagne, a bottle Chloe brought all the way over from New Zealand. As a former bartender, I am quite experienced opening bottles of champagne, having opened probably thousands in my previous life. I gently removed the wire cage, keeping my hand over the cork in the event of an accidental popping. I was confident the cork was safely in place and I turned my back to grab a towel so I could gently wiggle the top and open the bottle with minimal spillage. Suddenly, I was alarmed by a loud pop and turned back to the table to see the champagne flowing out of the bottle. Oh Dear Lord……WHY?????? Lucky for me, there was enough champagne in the bottle to complete our frosting. In the meantime, Chloe was whipping up the chocolate batter. I am fairly certain I did not help her at all as I was too busy wiping champagne up off the floor. All this while Justin Willman is holding the microphone in my face asking me what went wrong with the champagne, and the camera caught it all. Lovely. 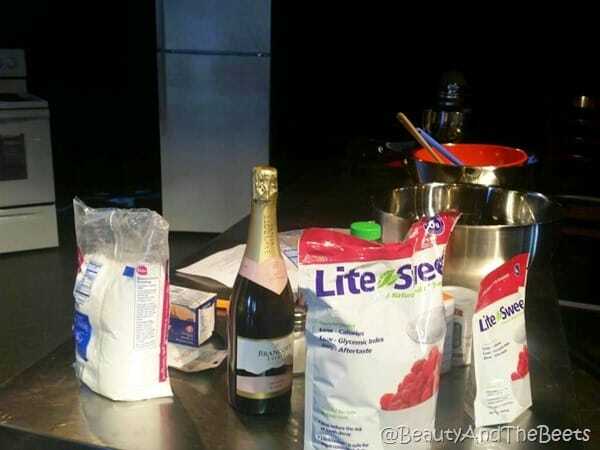 My next task was to cook down the champagne, while Chloe was mixing up the rest of the ingredients for the frosting. And then the champagne burned. Just burned itself right out of the pot. It was disaster. Chloe, incredibly calm, cool and collected simply added some more champagne to the pot. This time I kept an eye on it and when it had reduced slightly we tasted it and it tasted burnt. So we went with plan C at that point which was to add the champagne straight from the bottle to the frosting. And lucky for me the cupcakes didn’t burn. I pulled them out of the oven and immediately placed them into the freezer. We didn’t have the luxury of time to allow them to cool. We also couldn’t put the frosting on warm cupcakes as it would have all melted off. 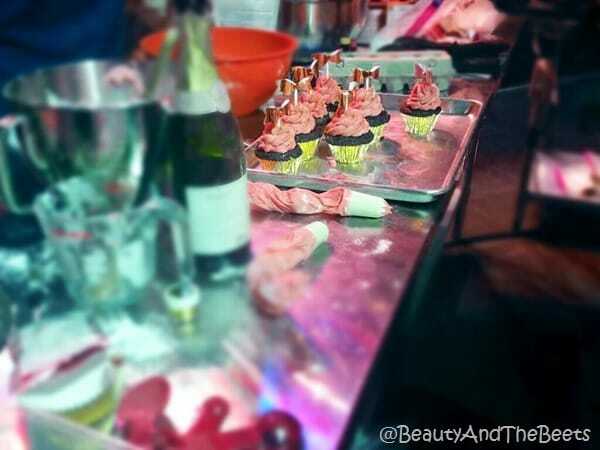 As the cupcakes cooled, time was winding down. We were still frosting our cupcakes within 10 seconds of the end. Well, Chloe was adding the frosting while I was sprinkled on the gold edible glitter. And then suddenly, it was over. As we presented our cupcakes, one team at a time, I was shaking in my Skechers. I let Chloe do all the talking. And though in the end we didn’t end up winning, I was so proud of us. I think I was really just most impressed with Chloe and her ability to remain calm as everything fell apart around us. Amber and Yvonne won with their Pina Colada Cupcakes with Blackberry Frosting. 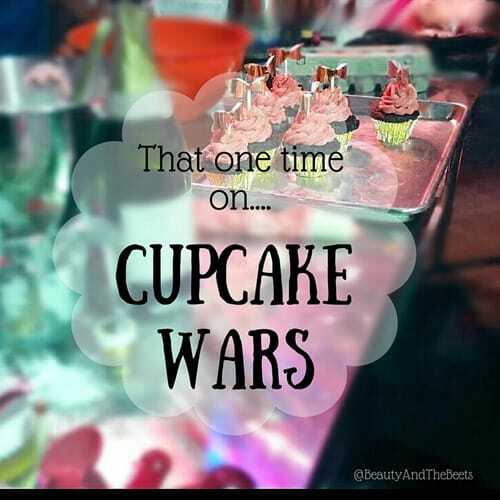 And they deserved the win, their cupcakes were delicious. 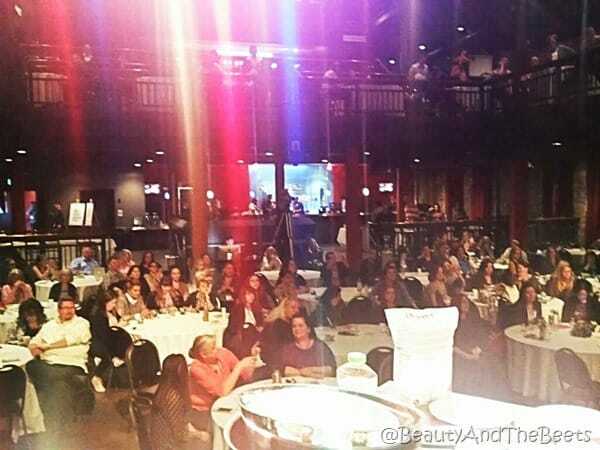 The audience was incredibly warming and supportive. Many times I heard people screaming and cheering for our team. 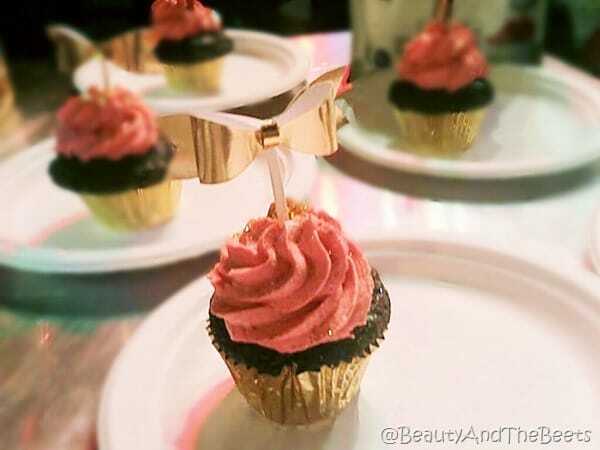 And people were so nice on social media lending praise for how beautiful our cupcakes looked. I hope Chloe will share the recipe on her blog soon and when she does I will be happy to post it here!! 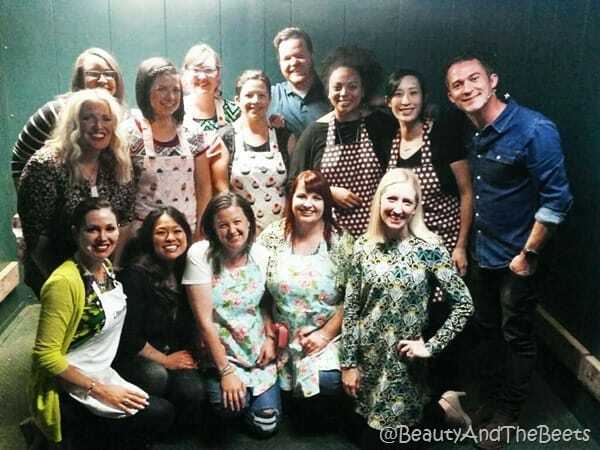 Thank you to Lite&Sweet for sponsoring the event and Jessie Steele for providing our super cute aprons. 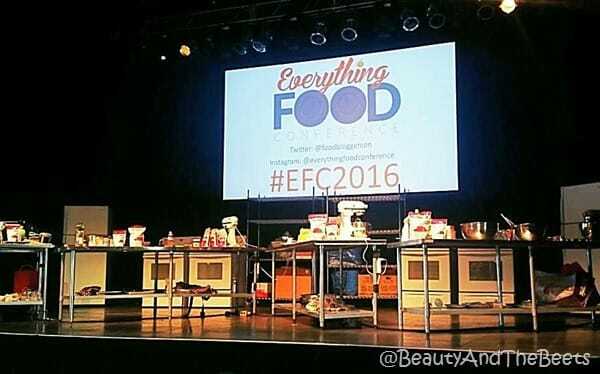 Thank you to everyone at the Everything Food Conference and I cannot wait to WIN next year!! This is a great story 🙂 That would be a lot of fun witnessing all this. Your cupcakes look DELICIOUS!!!!!!!!!!!! You guys did a great job and I was rooting for your team!! Thank you Jessica!! I was bummed that we didn’t win only because Chloe had come all the way from New Zealand – but it was so much fun!! Thank you for cheering us on, see you next year! 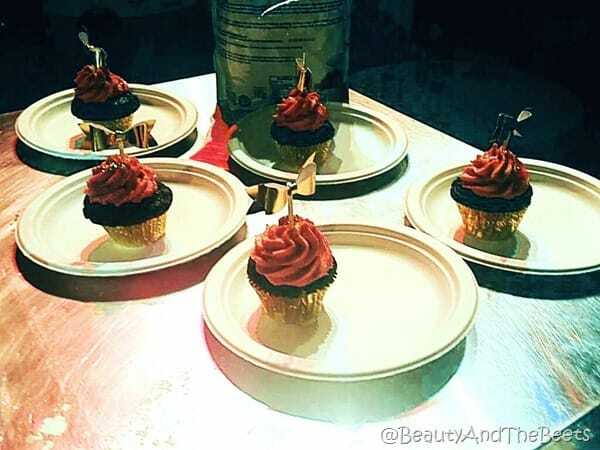 Beautiful cupcakes and so proud of you for getting out there and doing it! Oh and it wouldn’t be a cooking competition if something didn’t go wrong! I’m sure you handled it like a pro. Cheers to spilled champagne and letting go of the comfort zone!